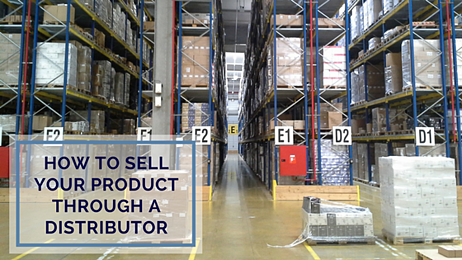 Are you considering selling your products through a distributor? It can be an excellent way to bring your product to market and place it in front of as many of your target customers as possible. Distributors can reach many more buyers, simply because of their extensive networks and expertise in the retail arena. At Optimum Technologies, we have worked on both sides of the spectrum, both as a manufacturer and as a distributor, and can share what we’ve learned along the way. Before engaging with any distributor, here are some important considerations to make. One of the first things to determine is if a potential distributor has familiarity with your product’s industry. If so, there is a much better chance of successfully selling your products because they will understand how to market them to your target audience. Another consideration to make is whether the distributor has contacts of buyers that they deal with on a regular basis in the industry that best fits your product. You want to partner with a company that is well-networked with buyers who understand your products and will welcome them into a product portfolio with complementary products. If the company has relationships with the right buyers for your products, does it call on those buyers on a regular basis? How many different products is the company selling to those same buyers? For example, our strength is in the flooring industry. We might look at whether a prospective product is related to flooring or flooring accessories. If so, we are tailor-made for your product because we regularly call on both retail, wholesale, and manufacturing in the flooring industry on a regular basis. Many distributors work in a similar fashion. The network that distributors have built with retail buyers in specific industries is invaluable. It provides you with a good understanding of what buyers are looking for, subsequently enabling us to place the product relatively easily provided it fits with what customers want. As tempting as it may be to sign on with the first distributor that shows interest in your product, it is equally important for you to qualify the company first. Focus on industry expertise, products in the distributor’s portfolio that are similar to yours, and the network of buyer relationships that have been built. These key components will help get you off to the right start of building a successful distribution relationship.